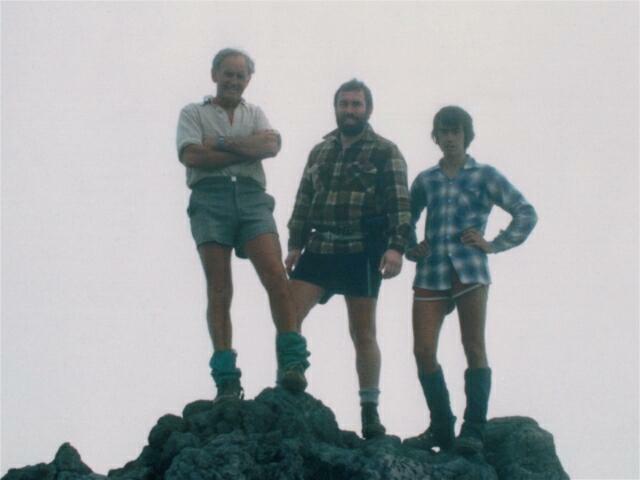 My first summit climb was on 15th March 1987 with Jack Smith and Craig Nokes and I found it quite hard. We took the East Ridge approach from the Plateau. 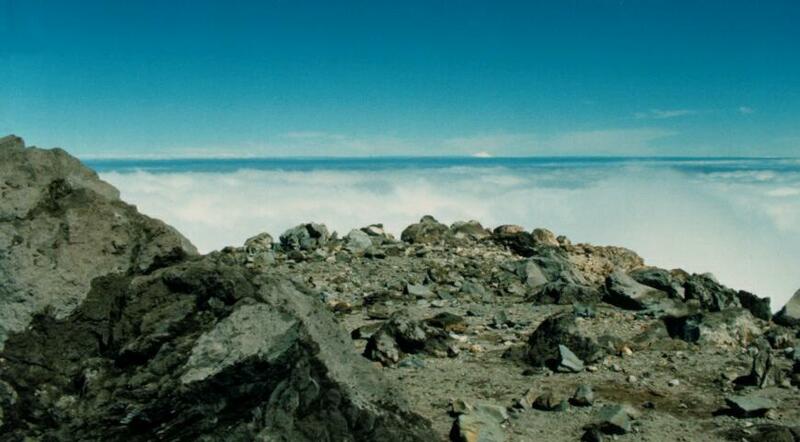 At that time it wasn't considered disrespectful to Maori tradition to stand on the very peak and so we all did it. On the way down Jack took us down the loose "scree" and taught me how to "Scree ski" (a real fun and quite easy way down once you get the hang of it). This demonstrated the real reason alpine gaiters or putties are worn as I had to stop and get the stones out of my boots a couple of times. 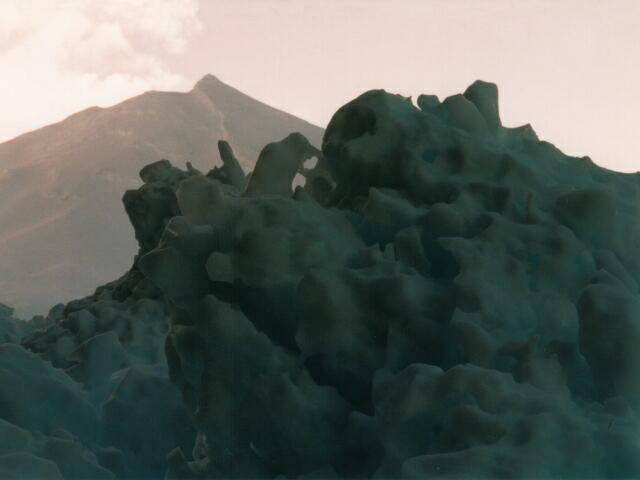 An avalanche in 1994 filled the Manganui Valley and the ice formations made interesting shapes. 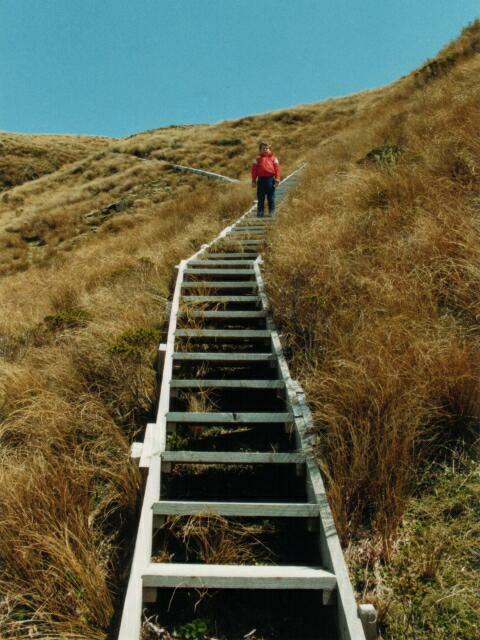 In 1998 my young sons managed to get someway up the stairs to Fantham's peak and I finally climbed up there a couple of years later. 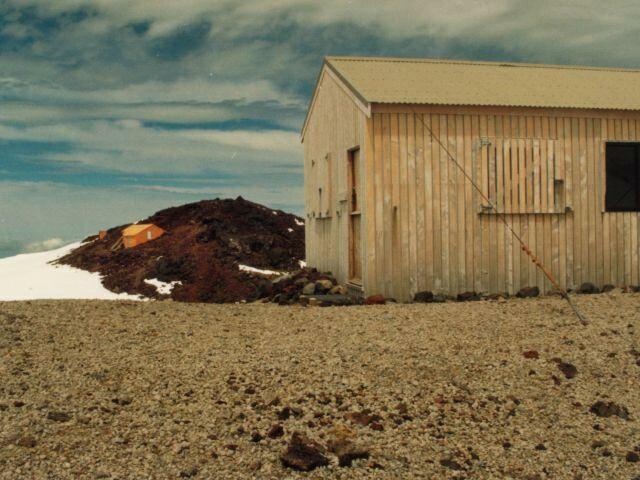 The old hut has now been removed and reconstructed in the Dawson Falls Visitors Centre.